Rajasthan GK Question in Hindi Sample Paper 38: Rajasthan General Knowledge Sample Question Paper No. 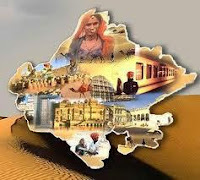 38 with Collection of Rajasthan GK Questions under GK Quiz in PDF @ Rajasthan GK Sample Papers. Q.1181 Frozen seamon Bank is situated at ? Q.1182 Highest dam in India is ? Q.1183 मोल्या रोग किसमे होता है ? Q.1184 Relay Cropping is ? Q.1185 बजाज सागर बांध किस नदी पर बना है ? Q.1186 Which crop is Known as "Delight of Diabitic" ? Q.1187 Indira Gandi canel starts from ? Q.1188 जवाहर सागर बांध किस नदी पर बना है ? Q.1189 इंदिरा गाँधी पर कितनी लिफ्ट नहरें है ? Q.1190 भाखड़ा-नांगल सागर बांध किस नदी पर बना है ?